Now we are again with a great manufacturing which we have done out of pallet wood, a cheapest type of endured wood. 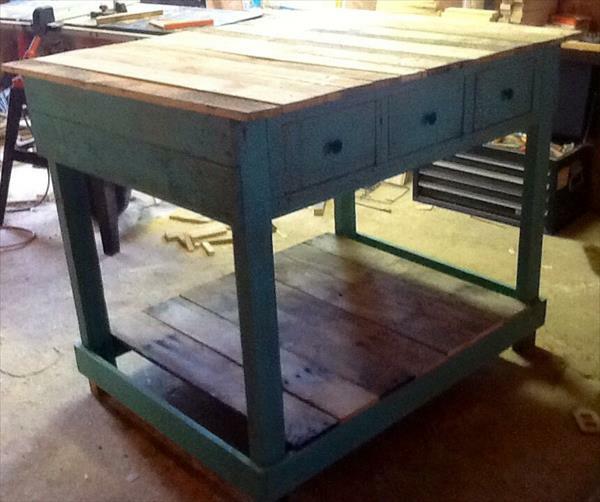 We have handcrafted a DIY pallet kitchen island with drawers to be capable for storage utility too. We have reposed here some shipping pallets which form the whole frame and some wooden drawers from a collapsed and broken up home furniture. The lower shelf panel magnifies the functionality by providing a lot of storage space. We have tried to give it a distressed theme to be emerged in mid century inspired look. 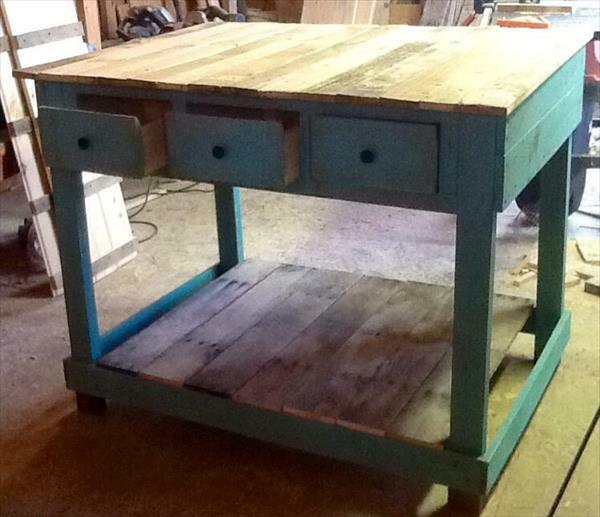 And this DIY pallet craft came up with really antique appearance that made us happy a lot. 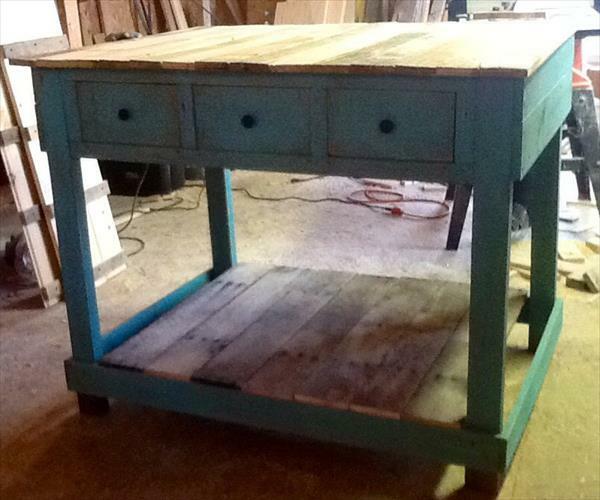 We have painted it with blue chalk for a more vintage look. You can also use this table at outdoor or in garden as DIY pallet potting bench and the lower shelf can store the garden tools like digging tools, watering tools and hose pipe.